As a young girl growing up in 1950s South Korea, Choon Ok Harmon faced a dismal future as the youngest of seven brothers and sisters living off money their mother earned free-diving for shellfish in the ocean. 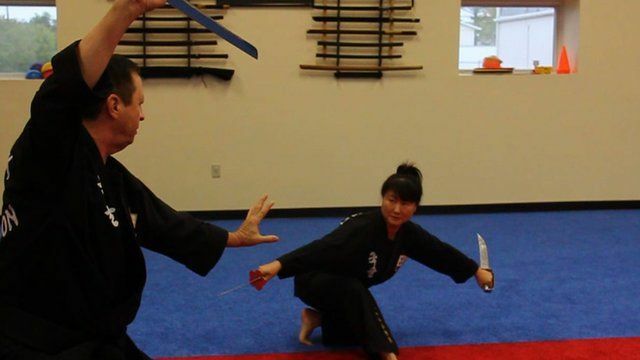 There was not enough food, no money for schooling or healthcare, but through her passion and dedication to the Korean martial art of Kuk Sool Won she escaped to America and became the first female master of her martial art. The highest ranking woman in Kuk Sool Won worldwide, she wrote her memoir, Iron Butterfly, with the help of one of her students to try to help people understand how difficult life can be and the value of appreciating what you have.